5 Amazing DIY Projects on a Budget - Lovely Etc. I absolutely love a good budget DIY project. 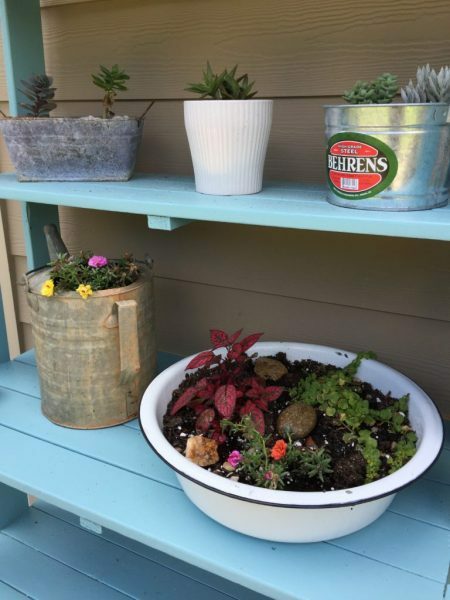 But what I love even more is when those inexpensive DIY projects are as gorgeous as these projects by Melissa at Brown Dog Vintage. Talk about DIYs worth doing – I would love to have absolutely any of these in my own home! (Especially those sconces at the end!) Get ready for your project list to get a little longer! Hi friends! 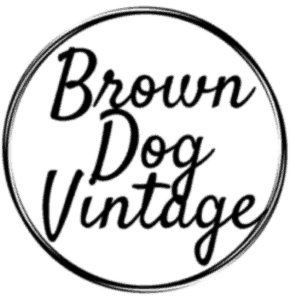 I’m Melissa from Brown Dog Vintage! 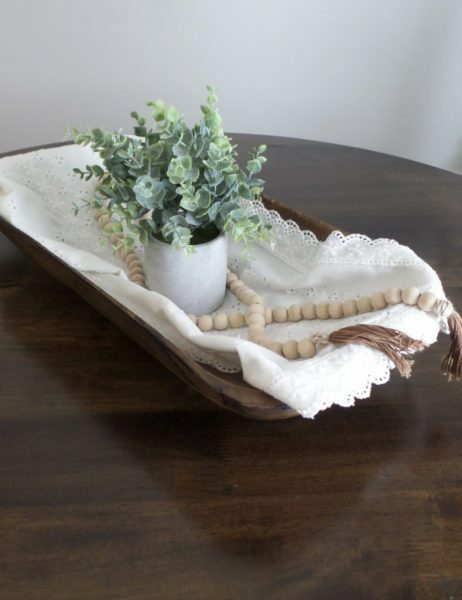 I am all about creating lovely things for your home on a budget and I am so excited to be guest posting for Carrie at LovelyEtc while she is on maternity leave!! 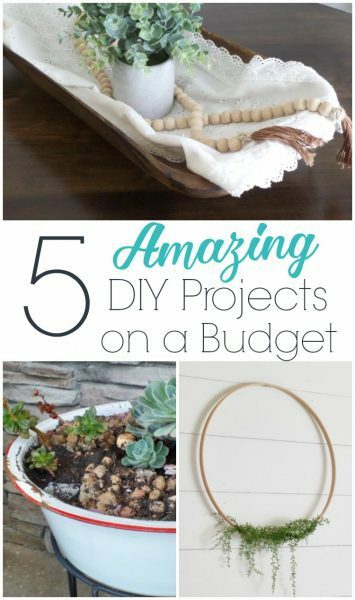 I’m sharing 5 Amazing DIY Projects on a Budget. These are all things that don’t require a ton of skill but can add some major impact to your decor. Thanks to Carrie for having me! Let’s get DIY’ing! I created this simple wreath after seeing so many beautiful ideas on Instagram. 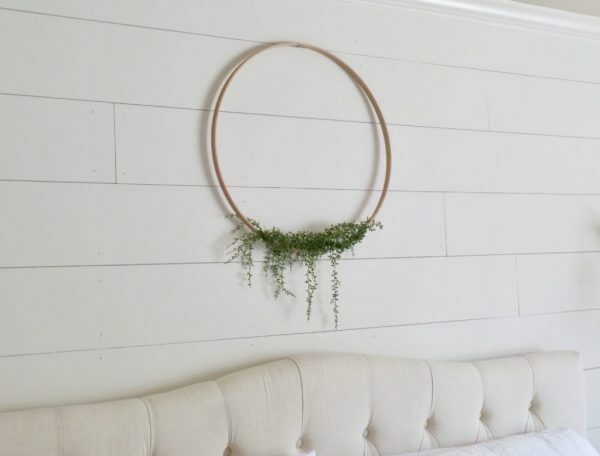 I needed something for our bedroom makeover and I wanted greenery, budget friendly, and easy to DIY. 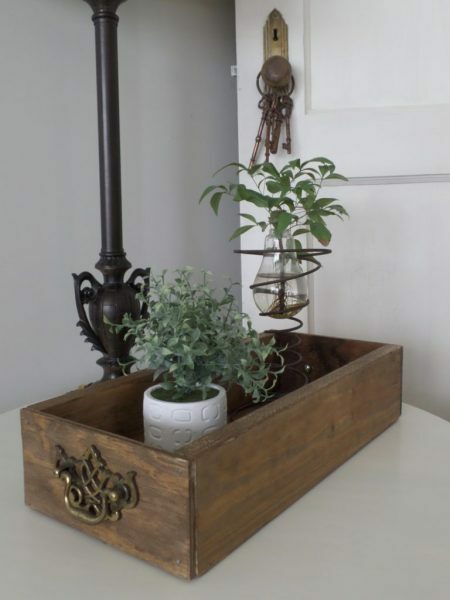 This is a perfect project for a quick afternoon DIY that makes a big impact. 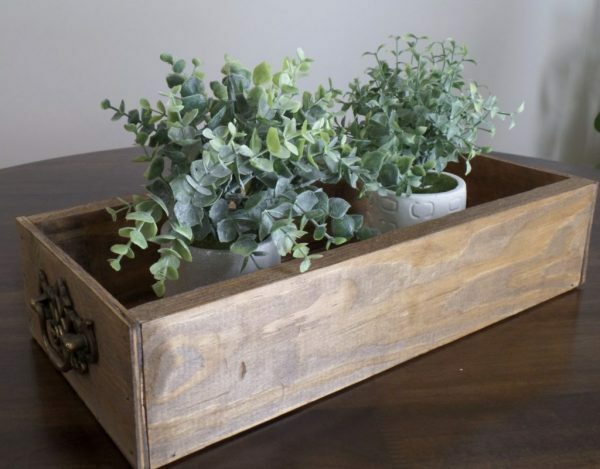 I decided on a whim one afternoon to DIY a wooden crate – You can never have enough storage! I used scrap wood and some leftover handles from an old furniture project. This one was completely free to me since I used any leftover stain/wood/nails that I already had laying in the garage. You can’t get more budget friendly than free! I kept seeing these amazing garlands on Instagram and Pinterest and this is by far one of my favorite DIYs! 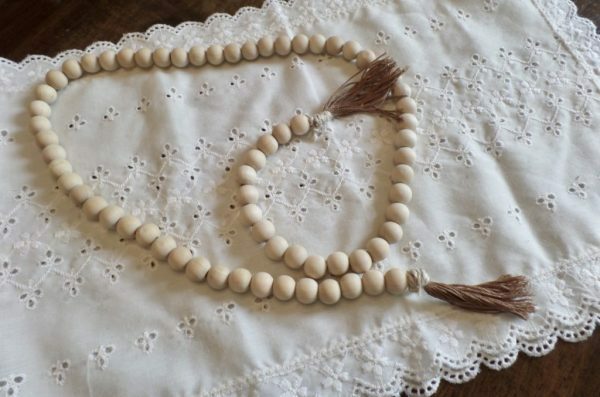 $8 for a few simple supplies that can be found at most any craft store and about 45 minutes and done! I’ve made a few more of these as gifts for friends and I love them! Enamel ware is one of my favorite farmhouse styles to use in my decor. I was lucky enough to find a huge enamel ware bowl last summer for $5 at a junk store and then another this year for $12. 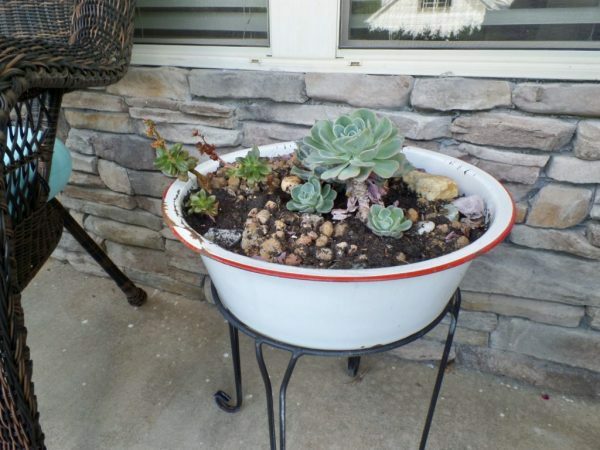 Drill a few holes in the bottom and voila – you have a planter! 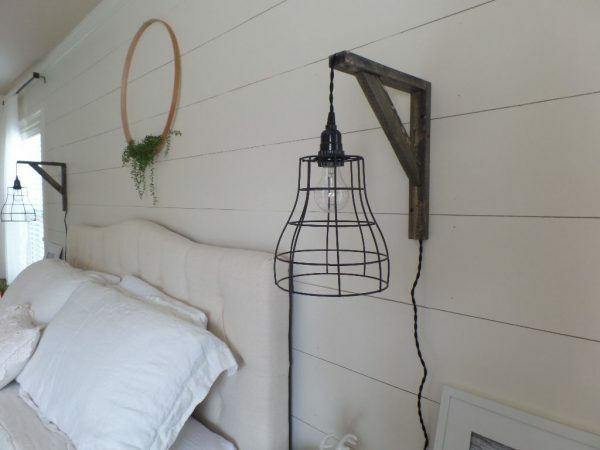 These are my favorite DIY so far – we are working on a master bedroom makeover on a budget and I made these cage pendant lights for about $40 for both of them! 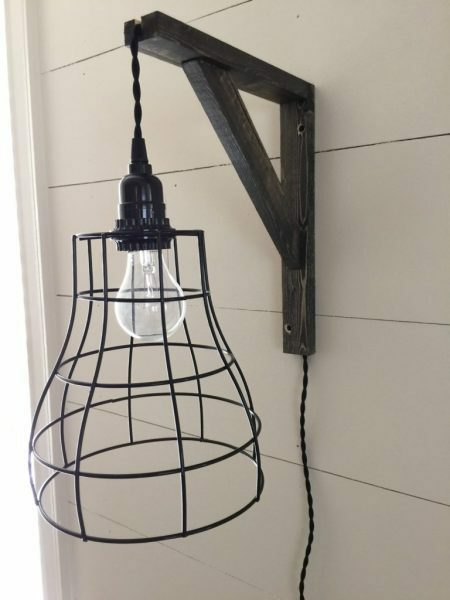 These are simple, budget friendly, and they go perfectly on our new shiplap wall! Thanks again to Carrie for having me on LovelyEtc! 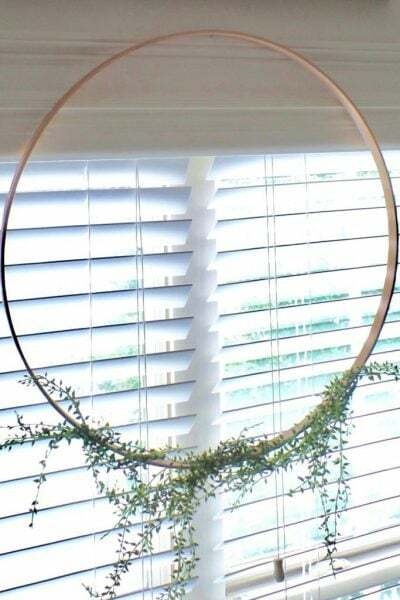 The wreath is simple amazing. I wanted something like this for our bedroom for a very long time. Thanks a lot for sharing. Yes, I love that wreath too!